Christmas should be a time for celebrating but on December 20th, their reclusive landlord Mr. Beiderman abruptly informs the Vanderbeeker family that he is not renewing their Harlem brownstone lease. Desperate not to leave the only house that is home to them. the five Vankerbeeker children, twins Jessie and Isa, only boy Oliver, pet loving Hyacinth and creative Laney embark on Operation Be Nice to Biederman in an effort to change his mind and give their parents the Best Christmas Present Ever. Throughout the story, the Vanderbeeker children execute various ideas to win over Biederman. Sadly, their initial efforts fail miserably. Finally, the Vanderbeeker children come to the conclusion that perhaps simple acts of kindness may be the best plan. When the children and their parents though learn details about Biederman’s past, they realize that home is much more than a place where you live. Home is family. I absolutely fell in love with the Vanderbeekers! Like any family, all is not perfect but it is clear by their words and actions how much they all care and support each other. Frantz the basset hound was of course Etta’s favorite! Special thanks to Katrina Yan Glaser for providing #bookexcurision with an advance reading copy of this beautiful book. Pre-order now, for The Vanderbeekers of 141st Street will be released on October 3, 2017. To read my full review, click here. I will admit I have not yet read the first Infamous Ratsos, but I ordered it immediately after reading The Infamous Ratsos Are Not Afraid. This close-knit family of rats which consists of father Big Lou and brothers Louie and Ralphie can teach readers about being brave and facing your fears. Louie and Ralphie have this great idea to create a Big City Fun Time Arcade on a junk lot. They enlist the help of friends such as Chad Badgerton, Tiny, the mouse, and a rabbit named Fluffy. During their project, both Louie and Ralphie need to listen to their father’s advice-tell your fears who’s boss. Louie must overcome his fear of approaching the haunted house next to the lot; Ralphie needs to right a wrong for starting a rumor about a fellow classmate. The Infamous Ratsos is a great series for students transitioning into chapter books. Students will love the entire family and be able to relate to their experiences. 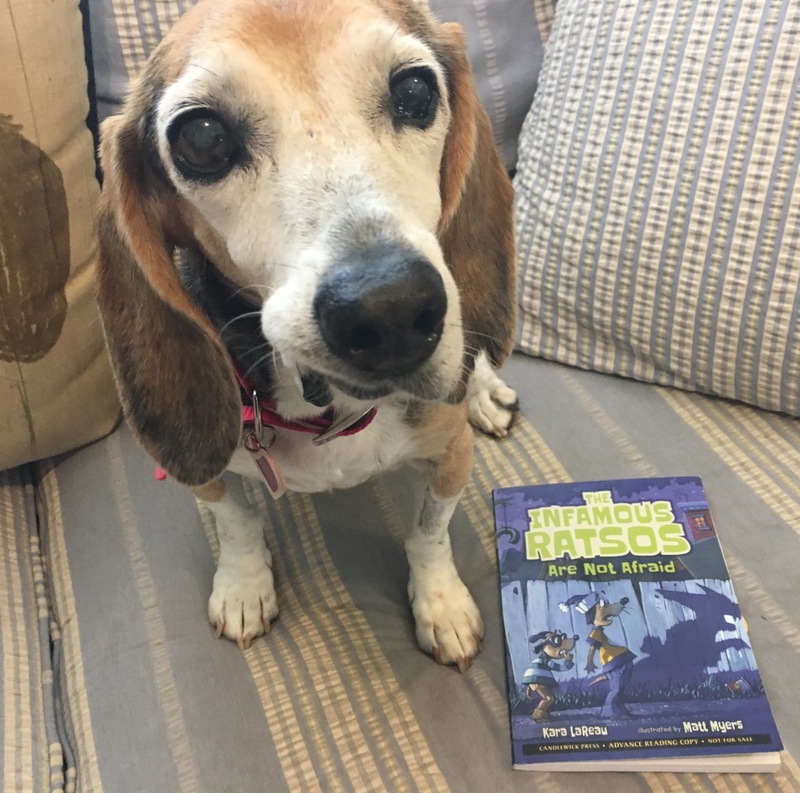 Special thanks to Kara LaReau and Candlewick Press for providing #bookexcursion with an advance reading copy of the book, which celebrated its book birthday on September 12, 2017. If you are interested in finding out what happened to Humpty Dumpty after the fall, this is the book for you. As Humpty reminds us, ” accidents can happen” so he is nervous about climbing the wall again. Humpty decides that it is in his best interest to stay on the ground and instead builds a bird that can fly in the sky. When his invention is not successful, Humpty realizes his only solution is to climb that wall on his own. Dan Santat does a superb job of expressing Humpty’s fears through both the text and detailed illustrations. When Humpty reaches the top, I cheered along with him! This text is a must read for all students because of its powerful message- you can always get back up after a fall and change your legacy. After the Fall will definitely be a read aloud for #classroombookaday in the second grade class I am sponsoring. Thanks to Mary Van Akin at Macmillan Kids for providing our #bookexcursion group with an advance reading copy of After the Fall. Its publication date is October 3, 2017 so you can pre-order now to secure your copy! Goat thinks he’s pretty great until he meets Unicorn. Not only can Unicorn fly but also Unicorn can make rain cupcakes and slide down a rainbow. Goat is feeling pretty depressed but then all of a sudden, Unicorn smells the heavenly smell of goat-cheese pizza. Goat soon learns that Unicorn is quite envious of his cloven hooves and his awesome horns. 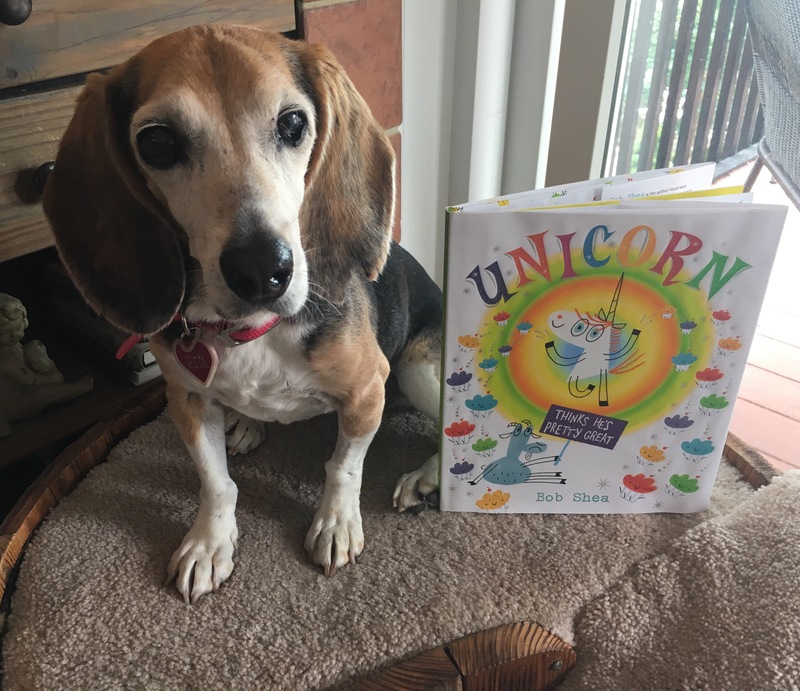 Unicorn Thinks He’s Pretty Great is wonderful picture book which teaches an important lesson-the grass is not always greener. Vibrantly illustrated, Goat concludes that perhaps Unicorn and he are better united as a team. 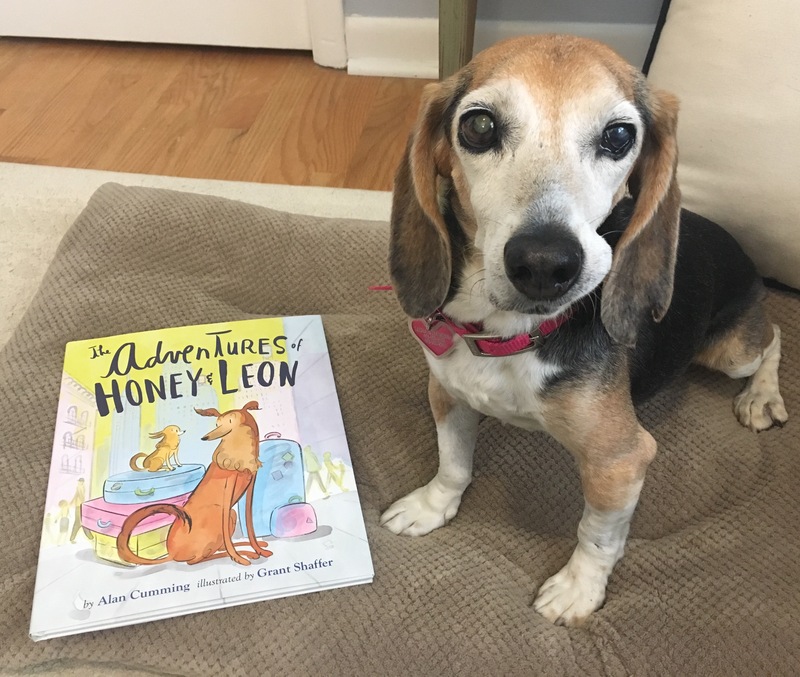 Actor Alan Cummings and his husband artist Grant Shaffer collaborated on this fun picture book as a homage to their two rescue dogs, Honey and Leon. Their dads travel a lot so when they’re gone, Honey and Leon have no one to guard or keep out of danger. Once Honey and Leon see suitcases, they know it’s not good. After their dads leave, Honey and Leon pack, hop in a cab, and board a plane to follow them. Honey and Leon follow their dads everywhere from a night at the theatre to a day on the water. When their dads walk the red carpet, Honey can’t resist taking advantage of an opportunity. Quickly, Honey becomes the talk of the town! Will their dads will find out about Honey and Leon’s travels? Read the book to find out! Etta and I thank you so much for reading! Have a great week! 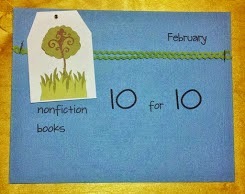 Great book choices and cute pictures of Etta. 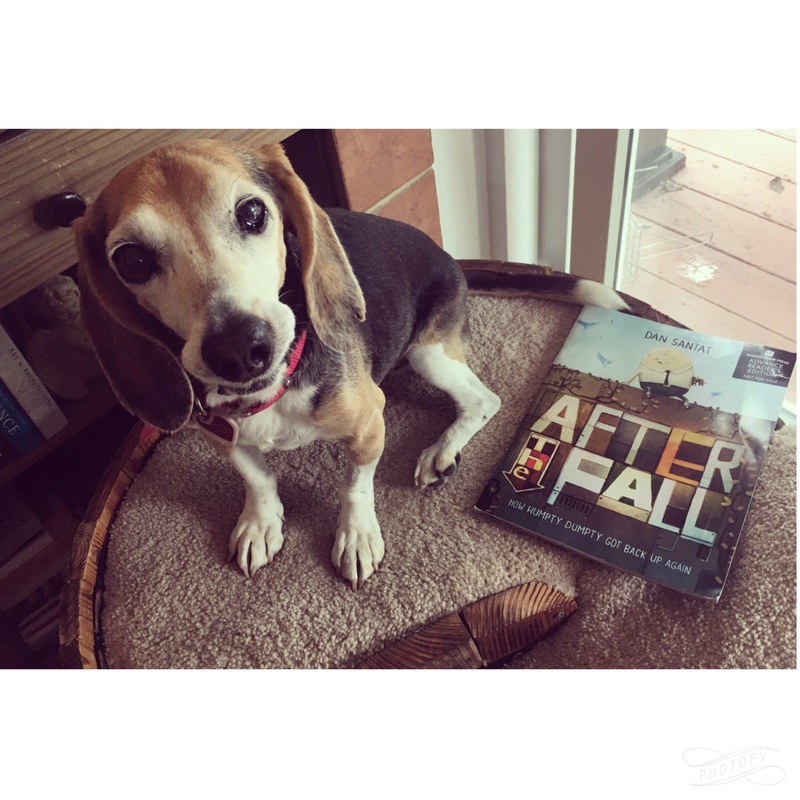 After the Fall was a perfect back to school book. I haven’t read the others. They look interesting. Thanks! Can’t wait to read After the Fall to students. I want Humpty Dumpty to be remembered for getting back up instead of falling! I loved The Vanderbeekers. I’m glad you liked The Infamous Ratsos. I think they are so sweet. It’s a great series for my early readers. The Adventures of Honey and Leon sounds cute. I can’t wait to read the first Ratso book and hope they are more in the series! I was somewhat bothered by the Vanderbeekers. The parents made NO plans for arranging for movers, getting a new place, etc. If you are renting, you can’t become too attached. Perhaps I just didn’t understand the city dynamics. Interesting…I wonder if perhaps they knew something all along. 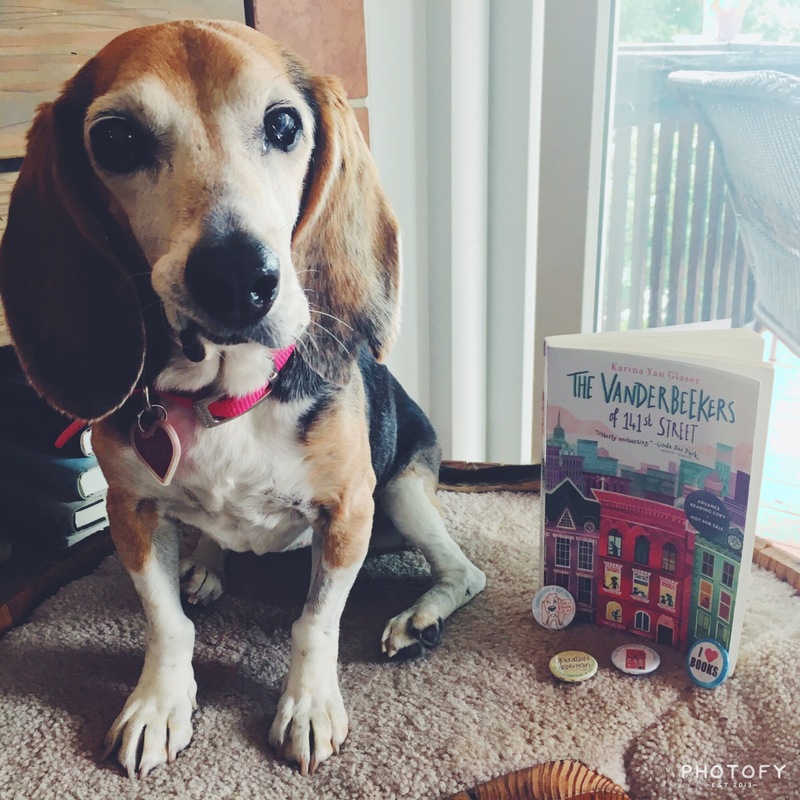 The Vanderbeekers of 141st Street Is now on my list of books to read! Loved it! And so glad there will be a sequel next fall! Will certainly find The Vanderbeekers’ story and the adventure of Honey & Leon. Both sound terrific. Honey & Leon is a fun read. I like that the authors wrote it as a tribute to their rescue dogs. The Vanderbeekers are a great family! Glad to know there is a sequel planned for fall 2018. 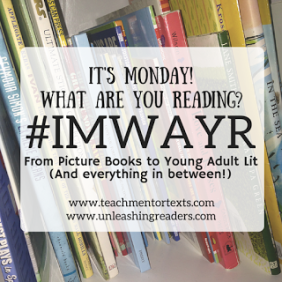 All of your books this week are on my To Read list! One of these days, I’ll get to them! I know….with school starting, it’s been more difficult to find reading time. Vanderbeekers is in my pile. Ever since school started I’m having a REALLY hard time getting middle grade books read! 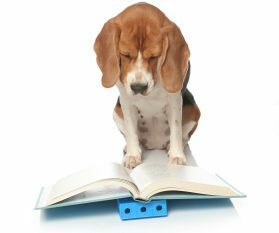 I know…I am trying to read 1 transitional chapter book and 1 middle grade each week. Once you start Vanderbeekers, it will be difficult to stop reading. I like the reviews, but Etta out stages all the covers. What a good dog! I loved After the Fall and Unicorn so much! Glad you did as well.